Salt Lake City tile and grout cleaning will make your bathrooms and kitchen look new again. Gone are the deep stains that cannot come up with regular scrubbing. It’s an affordable way to get the new kitchen or bathroom look that you have wanted, without the thousands of dollars spent replacing the tiles. We use only the highest quality chemicals on the market today when we are cleaning tile & Grout. Our tile & grout cleaning process cleans with 1200 PSI at 220 degrees and is self-contained. Let us clean your stone, granite, ceramic, travertine, marble, quarts, & slate tile. 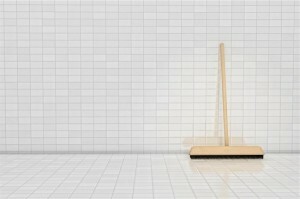 With our cleaning we’ll make your tile and grout look beautiful again! When you are tired of your Tile and Grout looking grungy and out of date. Give us a call to restore your Tile and Grout to its original look. Feel like your floor looks like new again.